Look, I’m no bodybuilder nor want to be one. I am 44-years-old, active and do workout on the regular. I also used to be 265-pounds but am now under 200 and have been so for about three years as a result of lifestyle changes. I lean toward high protein, healthy fats, low carb, low sugar dietary habits. A protein shake is part of my daily routine and let me tell you they are not all created equal nor do they all taste good. First off, it’s sourced from grass-fed cows free of recombinant bovine growth hormones (rBGH). And the product contains no artificial colors, flavors, sweeteners or gluten. That’s rad. That in itself lets you know Stamina cares about the quality of their product. 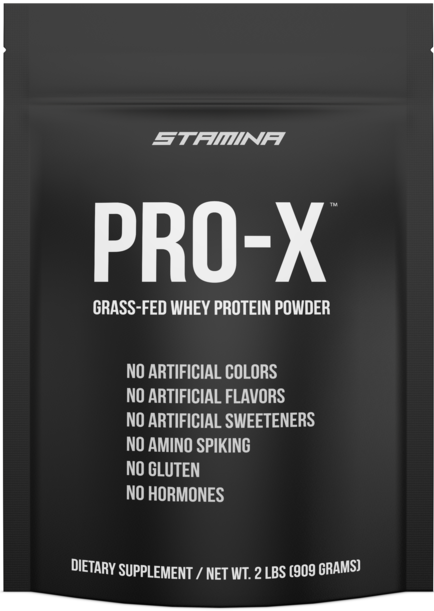 Here are the ingredients for PRO-X Grass-Fed Whey Protein Powder (as listed on the package): Microfiltered Whey Protein Concentrate, Whey Protein Isolate, Whey Peptides, Fructose, Xanthan Gum, Stevia, Natural Flavors. Contains Milk and Soy (lecithin). The protein powder comes in a fresh seal durable pouch that weighs 2 pounds. 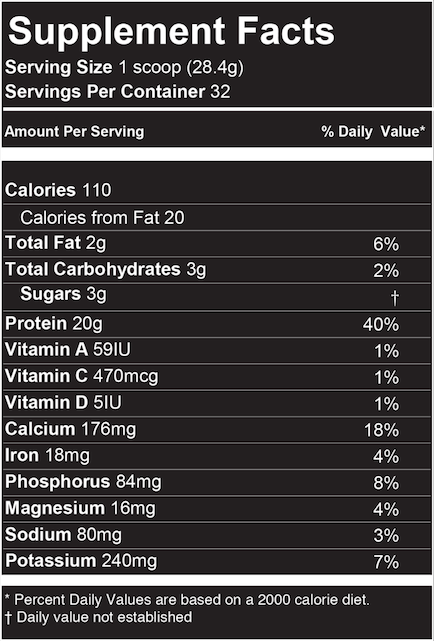 It contains 32 servings (1 scoop) and each 28.4 gram scoop contains 20 grams of protein. The flavor is chocolate and it is sweetened with Stevia. Here’s the thing. I don’t generally care for the taste of Stevia, but PRO-X tastes really good. My fiancee and her daughter also really liked the taste. It’s light, smooth, and it goes down really easy. I usually mix my protein powder with Almond Milk and if I run out, on occasion I will use regular milk. Never water. Today I was out of Almond Milk and didn’t really want to use regular milk, so I followed one of the recommendations on the PRO-X package and mixed it with water. I was surprised at how smooth and great tasting it was. On a scale of 1-10 for taste, 9 or 9.5 in my opinion. 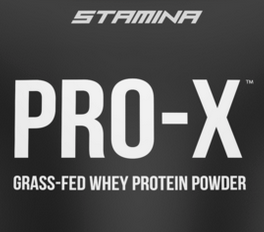 I’ve been using the PRO-X protein powder for about a week now and I’ve tried it various ways. I’ve tried mixing it with bananas, strawberries, blueberries, apples, Almond Milk, milk and water. I also like to mix a little MCT Oil with it now and then and sometimes creatine. I don’t recommend mixing it with regular milk, something about the milk in the blender turns it to a fluffy whip-cream-like feel. The cost for the 2-pound pouch of PRO-X is $59.99. If you use it once a day (1 scoop) that’s about a month’s supply. While it’s more expensive than say Muscle Milk, it is a much higher quality product. As is generally the case, you get what you pay for and if you are someone who strives for optimum performance PRO-X Grass-Fed Whey Protein Powder is definitely worth taking a look at. Visit www.staminasportsnutrition.com for more information or to order this product. 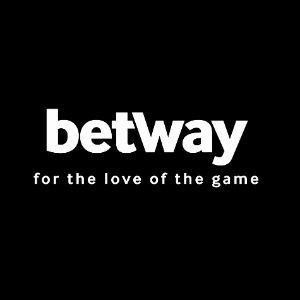 Our readers get 7 euros free on LeJackpot Click the link, register and confirm your Email and phone to get the free money and win big to cash out!